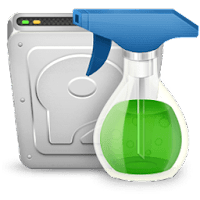 Wise Disk Cleaner is a free, lightweight and easy to use disk cleaner and defragmenter utility for Window suitable for both beginner and advanced users. It's designed to help you keep your disk clean by deleting redundant/unnecessary junk files. Wise Disk Cleaner can clean Internet histories, cache files, and cookies of Internet Explorer, Chrome, Firefox, Opera and Safari browsers. It also detects and cleans all other traces caused by Windows System, components, and other applications. By removing all these traces thoroughly, your privacy will be well protected from prying eyes. By running a disk defragmentation program you can improve the performance of your PC. Hard disk drives become fragmented over time, and it is this disk fragmentation that makes your hard disks become slow and unresponsive, which, in turn, can slow down the performance of your PC. Wise Disk Cleaner is part of Wise Care 365 - a compherensive PC optimization suite. Disclaimer: Direct downloads for the lastest version of Wise Disk Cleaner 10.1.5.762 are provided by the official software's author, we can't guarantee safety, availability or download speed. Moreover, we don't and we won't provide any pirated/illegal versions or tools. We recommend you to avoid it as these methods can harm your device. If you like the software, buy it to support the developers. (We provide software discounts for many worldwide brands).